Nap is a chair from the Danish designer Karpar Salto. 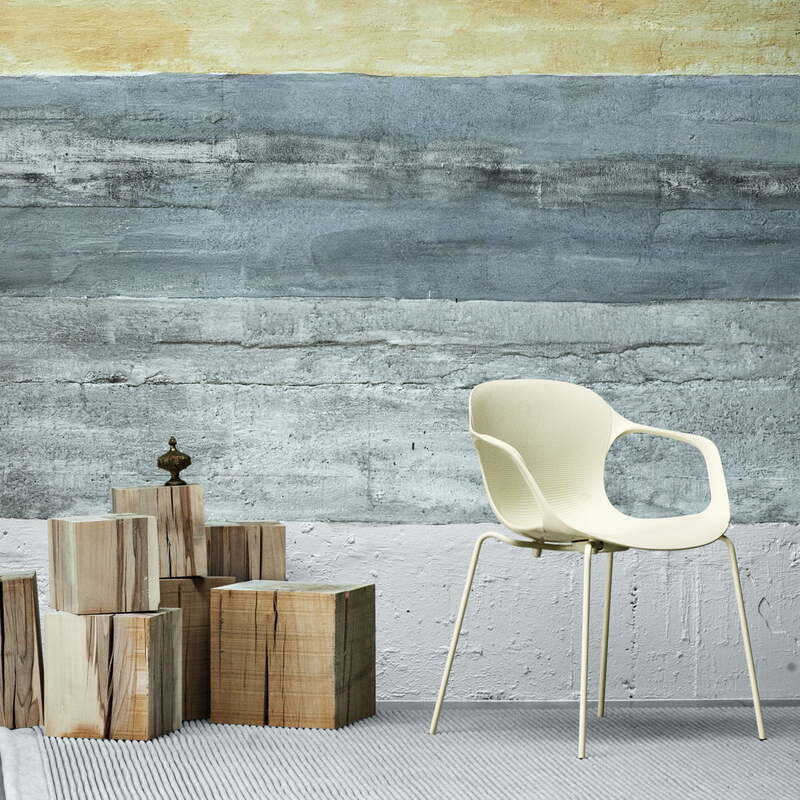 Fritz Hansen produces Nap as a series of weightless stackable chairs that offer optimal comfort in every desired seating position. KS60 is the armchair out of the series. Nap stands for normal, active and passive, because to sit really means continuous movement. The backrest of the seat from Nap KS60 is high-gloss polished while the matt front is equipped with grooves to emphasize its geometry. To minimize annoying noises and the danger of damaging the floor, the front and back feet have felt glides in different sizes. The usage of injection moulded, dyed throughout nylon (polyamide – PA6) for the seat allows the re-employment of the material. The cap and distance blocks consist of nylon or TPE (thermoplastic elastomer). Both of them are coloured the same as the seat. 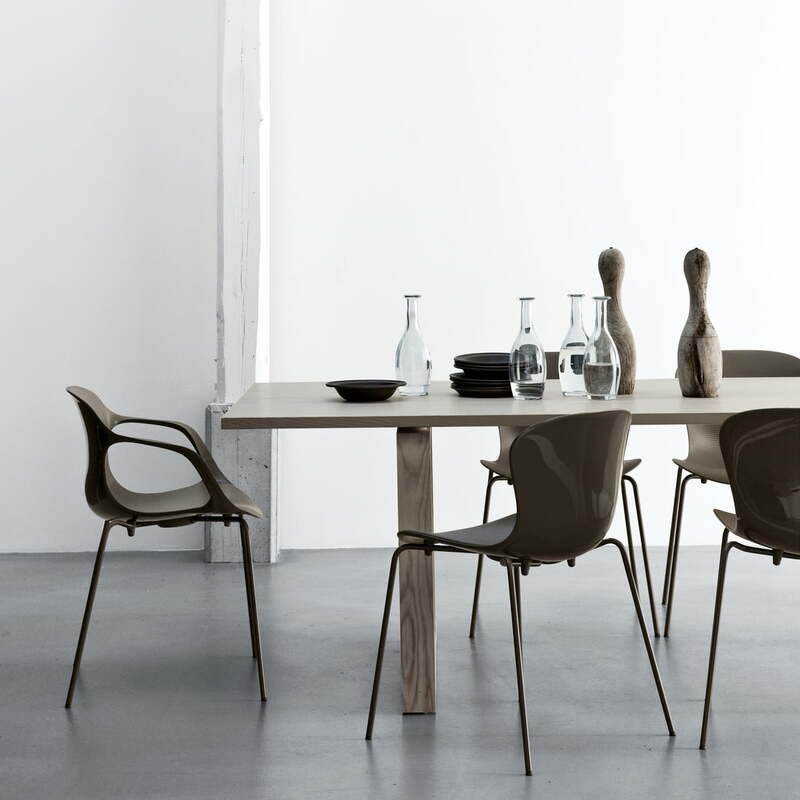 The frame of the chair is made out of 1 mm powder lacquered steel in the same colours of the seat of out of chromed steel. The glides are made out of black TPE. 8 to 10 chairs with or without armrests can be stacked over another. For environmental reasons, the chair can be demounted easily and the single parts can be re-assembled depending on their need. 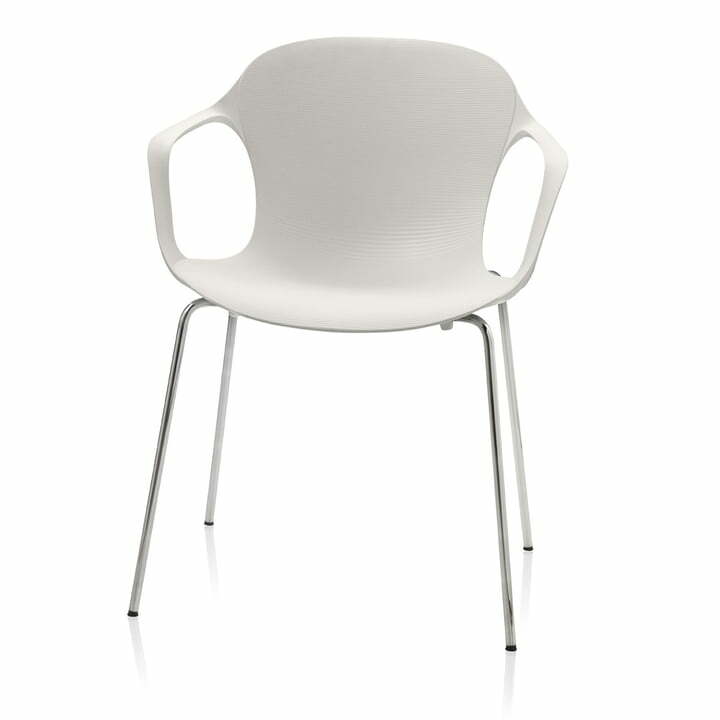 The main material of the chair, nylon, is a common plastic in our everyday, making the recycling of the chair easier. The plastic can be granulated and the steel pieces can be reused. 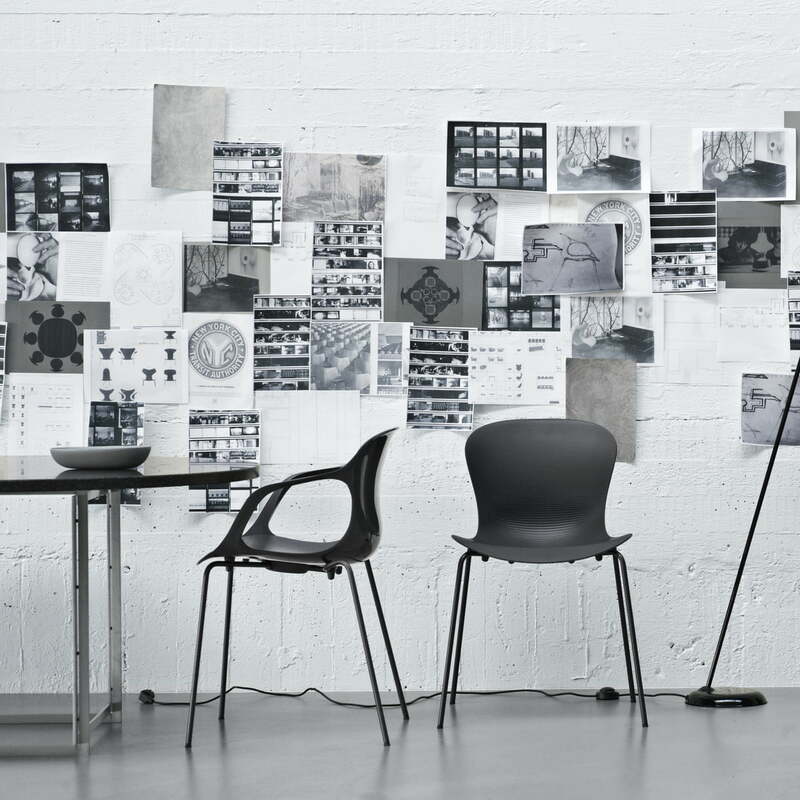 The Nap chair KD60 from Fritz Hansen has been approved after EN 1728:2000, level 2, according to the normal public usage test. 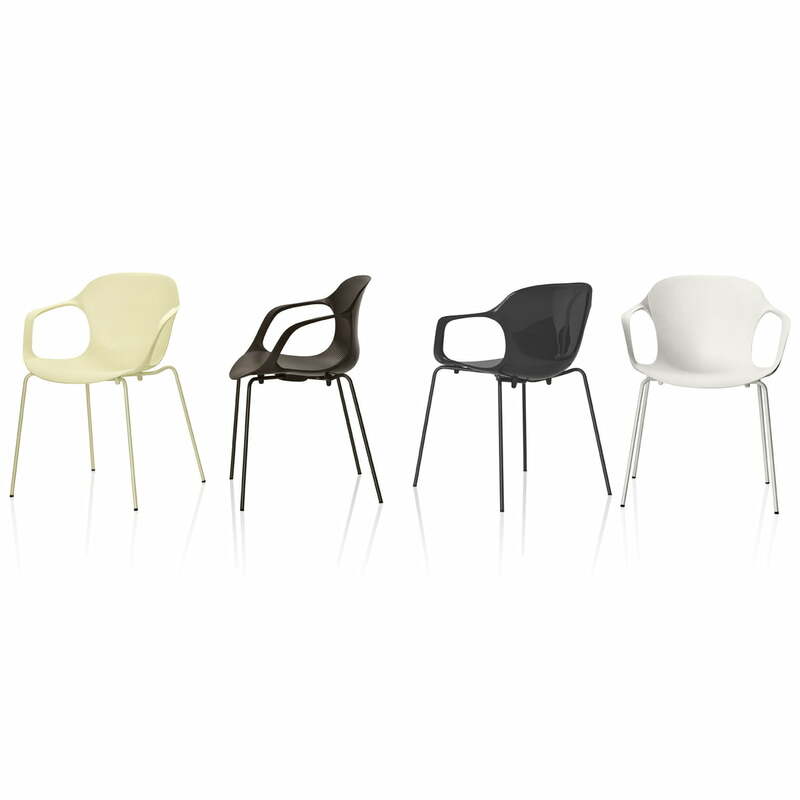 The Nap chair KS60 from Fritz Hansen is also available in further colours. The frame can be ordered in a chrome version or in the desired powder coated colour. Additionally you can get suitable seating cushions. 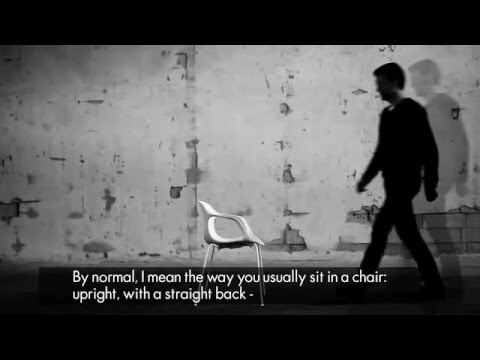 In this video Kasper Salto speaks about designing the NAP chair in collaboration with Fritz Hansen. What was his initial inspiration behind the product and what did he want to achieve. "If people who sit in the chair notice they have been sitting comfortably, I think I've succeeded." says Salto. 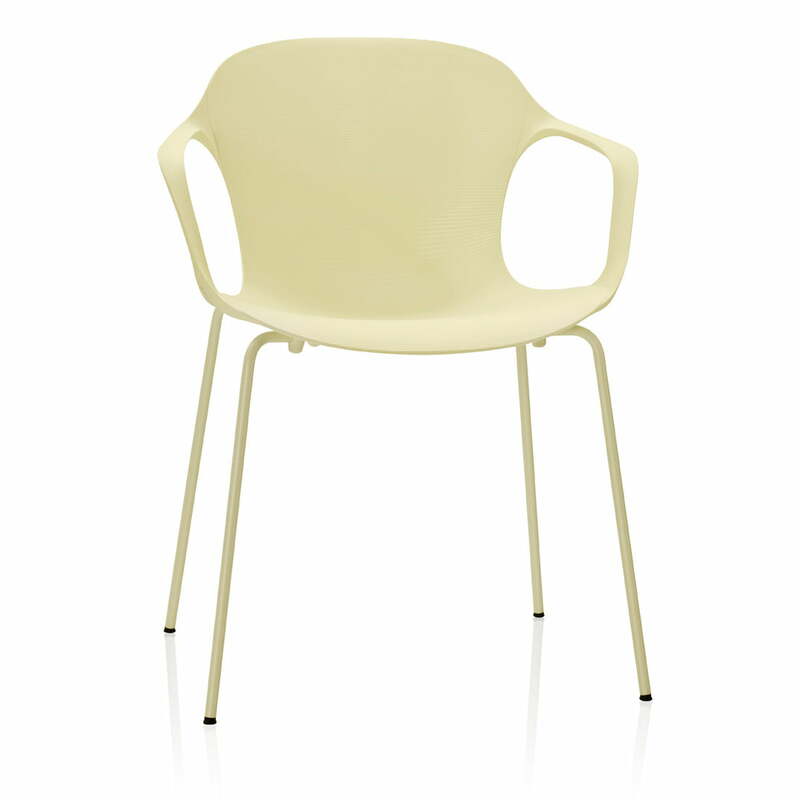 Single image of the Nap Chair with armrests in Butter Yellow by Fritz Hansen. The robust chair provides a seating height of 45 cm and is stackable. The frame is available in chrome or a powder-coated colour. 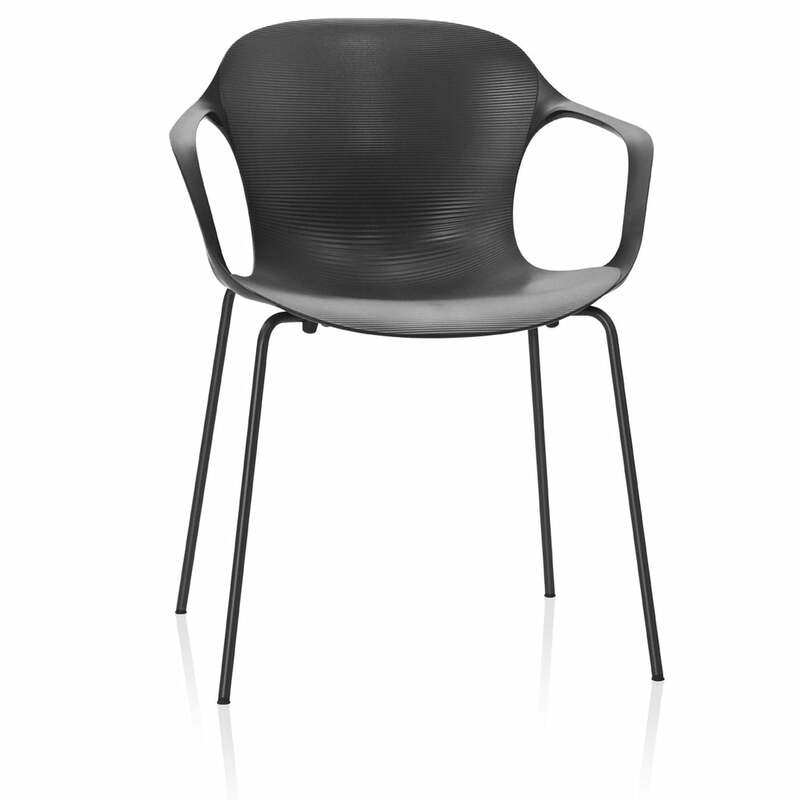 Single image of the Nap Chair with armrests in Pepper Grey by Fritz Hansen. The robust chair provides a seating height of 45 cm and is stackable. The frame is available in chrome or a powder-coated colour. 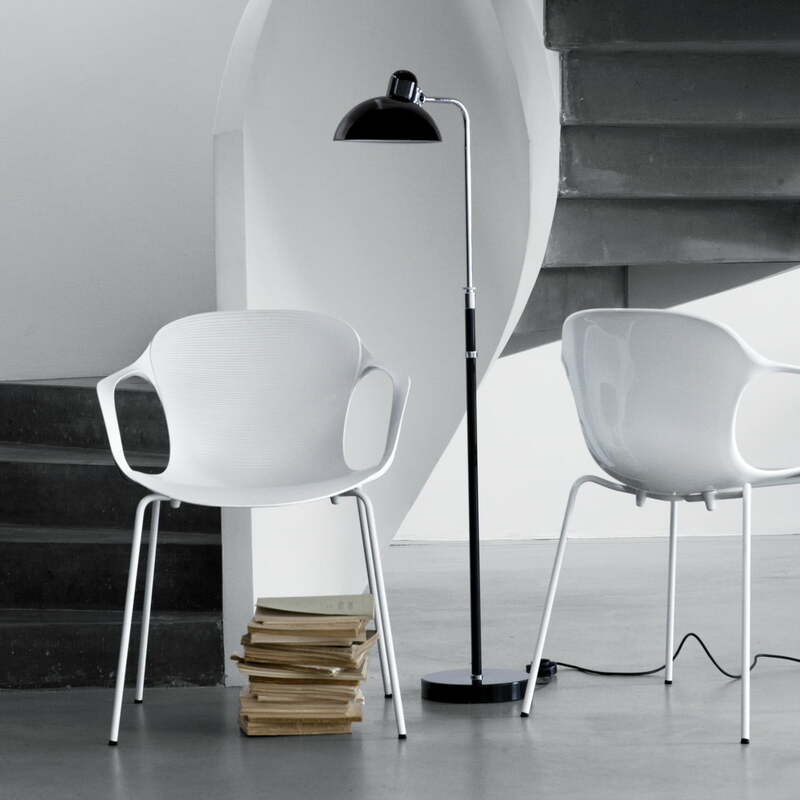 Lateral group image of the stacked Fritz Hansen Nap Chairs with armrests. 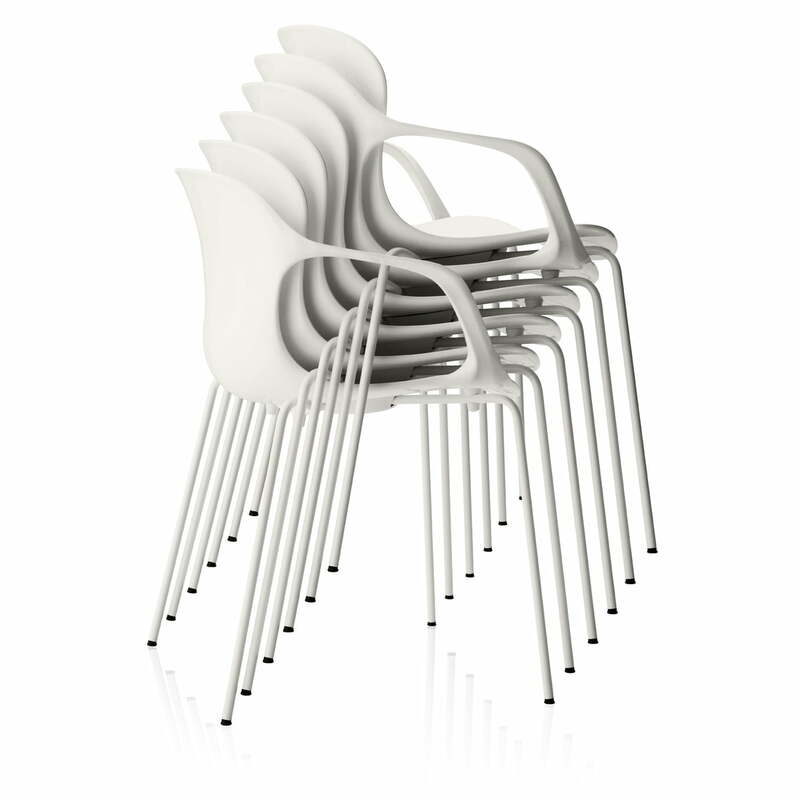 The robust chair provides a seating height of 45 cm and is stackable. The frame is available in chrome or a powder-coated colour. 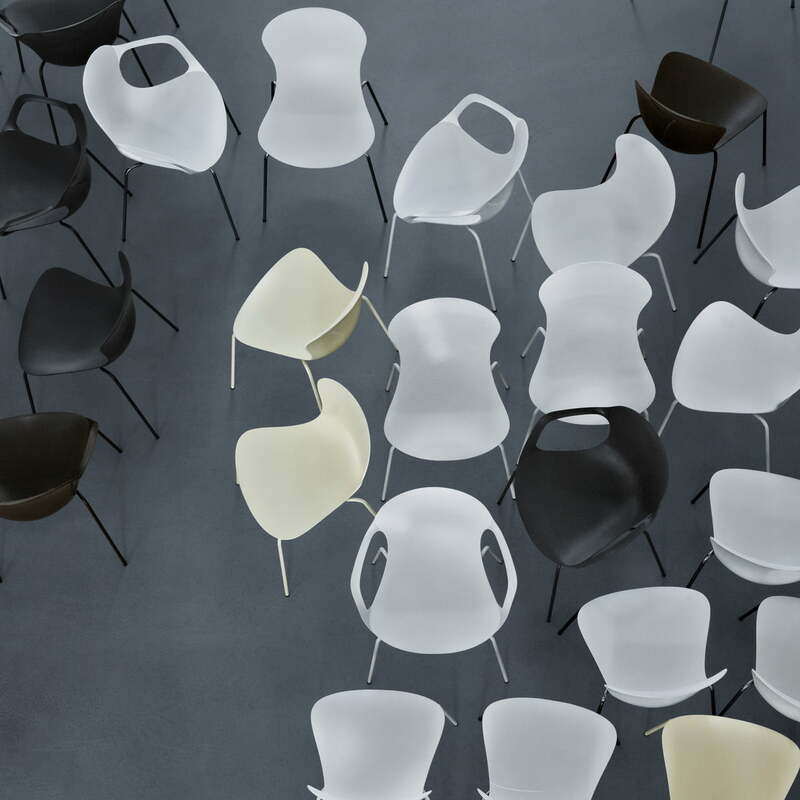 Group image of the Fritz Hansen Nap Chair in different colours and perspectives. The robust chair provides a seating height of 45 cm, is stackable and made of recyclable material. 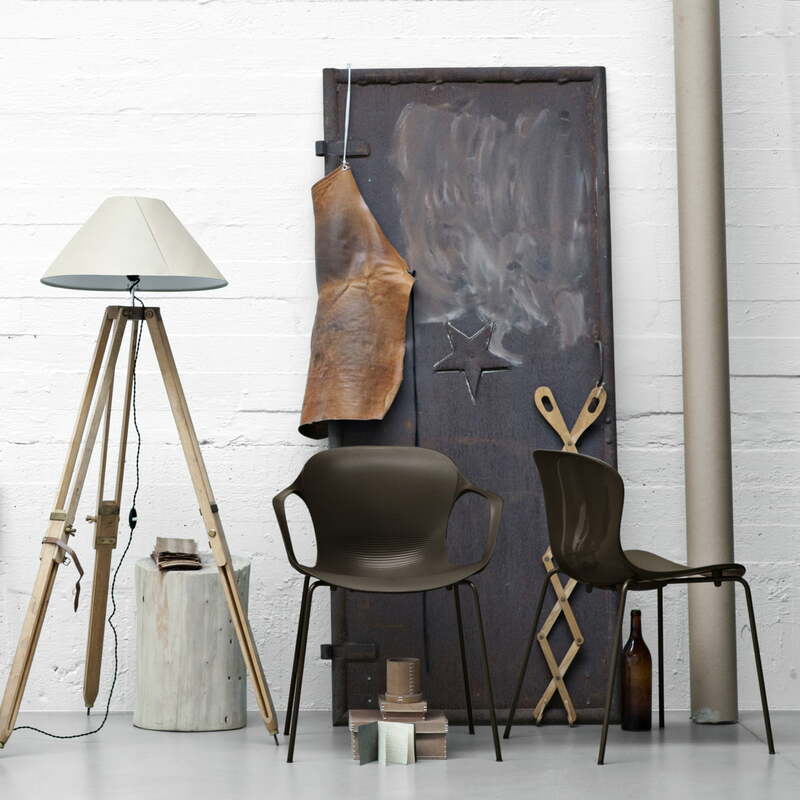 The Fritz Hansen Nap Chair has many faces. In colours like butter yellow, pepper grey oder milk white it can be combined sophisticated and additionally offers a chromed or powder-coated frame in the desired colour. 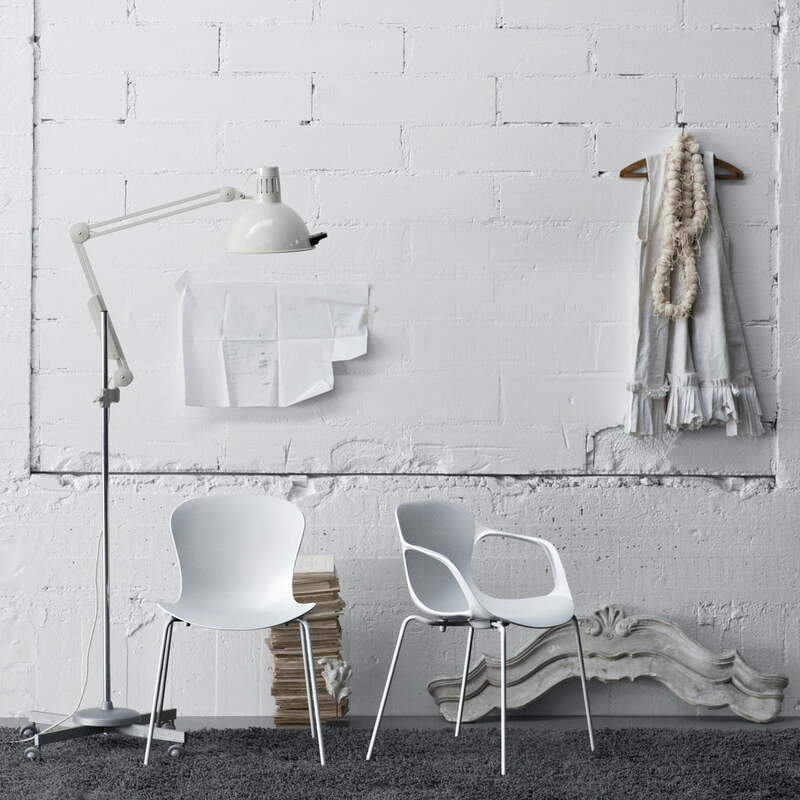 The Fritz Hansen Nap Chair is available with or without armrests and has a very appealing look. Whereas the back provides a glossy finish, the matt front side has grooves to emphasis its geometry.